Once again we here at Quest Overseas will be at various Gap Year fairs across the southern end of the country this week. Starting with Andy and Jon at Esher College in Surrey today. They will be giving a talk as well as attending the fair from 2 - 8pm so do go and say hi! Click here for directions to Esher College. Later today Si will be at Bryanston School in Dorset from 5:30 - 7:30pm. Directions down to the school can be found here! Tomorrow (29th April) Si will be giving a talk and presentation about gap years at Richmond College at 12:15pm. 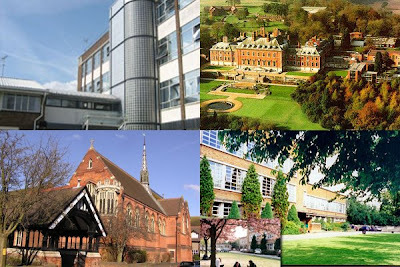 For information on how to find Richmond College click here. Thursday 30th April we will be at Berkhamsted Collegiate School in Hertfordshire for another gap year fair from 7pm. Once again click here for directions to the school! It would be fantastic to see you at these events so if you do have any questions or would like any advice about Gap Years do come and say hi to us!